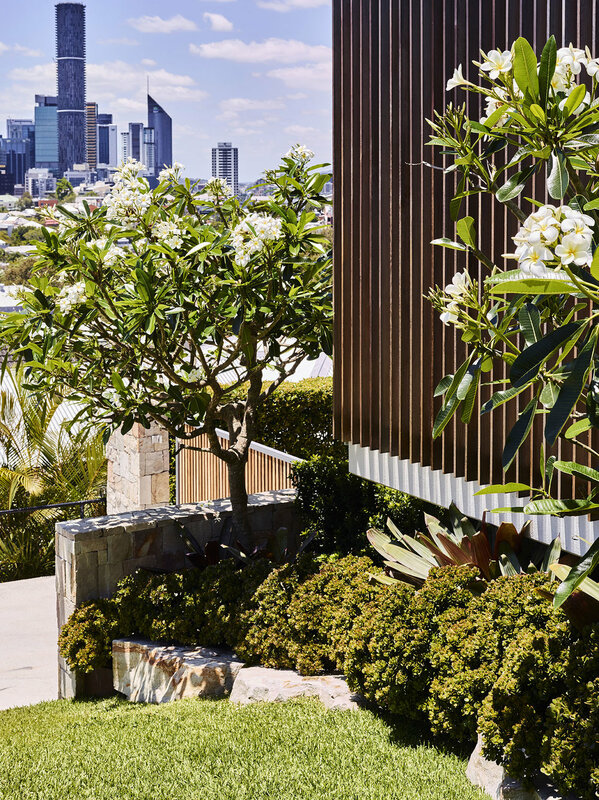 With the CBD’s high rises in full view, this garden is a sanctuary within the inner city. The intention of its design was threefold: to anchor an elevated home, create new areas for entertaining and integrate indoor and outdoor spaces. 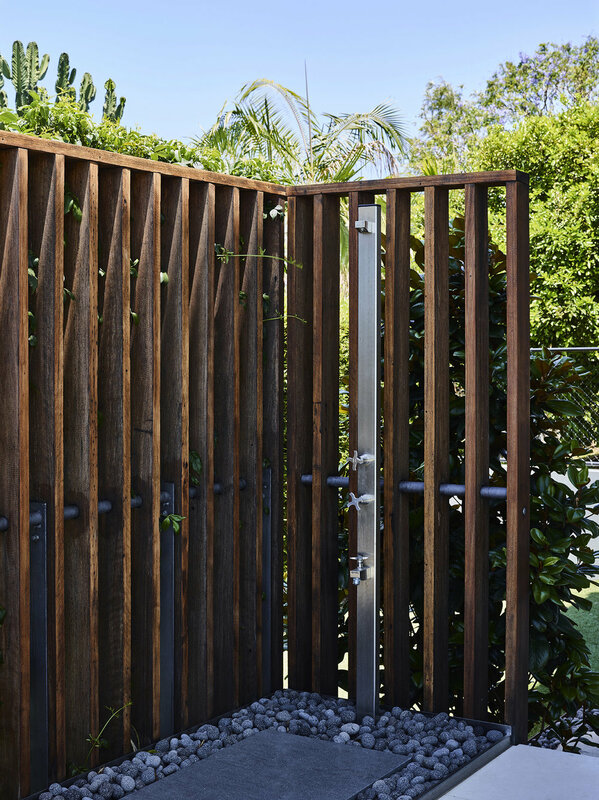 To maximise the functionality of the garden, we devised a concept with a series of zones for entertaining and relaxation. These zones flow out from indoor living spaces, enhancing the connection between indoor and outdoor living. After identifying low-light and no-grow areas near the building structure, we integrated materials such as pebbles and stepping stones into the design to create texture in the absence of foliage. A low-maintenance selection of plants frames each zone, ensuring the garden can be sustained as it continues to mature.